The academic study of flow-based malware detection has primarily focused on NetFlow v5 and v9. In 2013 IPFIX was ratified as the flow export standard. As part of a larger project to develop protection methods for Cloud Service Providers from botnet threats, this paper considers the challenges involved in designing an open source IPFIX based botnet detection function. This paper describes how these challenges were overcome and presents an open source system built upon Xen hypervisor and Open vSwitch that is able to display botnet traffic within Cloud Service Provider-style virtualised environments. 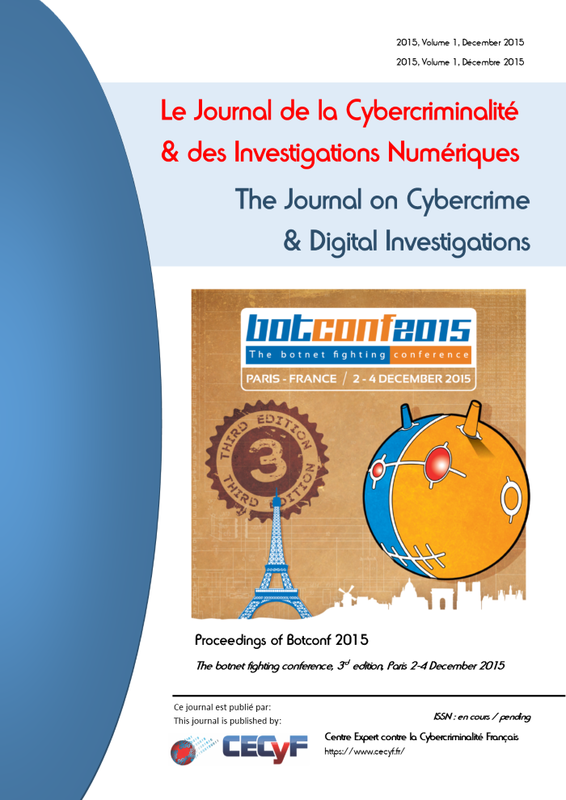 The system utilises Euler property graphs to display suspect “botnests”. The conceptual framework presented provides a vendor-neutral, real-time detection mechanism for monitoring botnet communication traffic within cloud architectures and the Internet of Things. Collins, M. P., & Reiter, M. K. Hit-List Worm Detection and Bot Identification in Large Networks Using Protocol Graphs Lecture Notes in Computer Science (pp. 276-295): Springer Science + Business Media. Steinberger, J., Schehlmann, L., Abt, S., & Baier, H. (2013). Anomaly Detection and Mitigation at Internet Scale: A Survey Lecture Notes in Computer Science (pp. 49-60): Springer Science + Business Media.